Last Monday a new report on the employment outlook of the Agricultural Industry was released by Purdue University’s College of Agriculture, with funding support from the US Department of Agriculture’s National Food Institute. The report, outlining a 5 year job projection within the food, agricultural and renewable resources sectors, concluded that another 58,000 jobs will become available annually in the United States. According to Purdue University, the new employment opportunities reflect the growth within the food industries, in particular the need to support the commercialization of food as the population increases. The report paints an interesting picture that is a stark contrast to the reality of the agricultural sector at the present time; farmers are watching their yields shrink, while at the same time they watch the cost of running their farm increase. So while the new jobs are an indicator that the world’s demand for food is increasing, unfortunately it also reminds us that the pressures that prevent farmers from supplying food is unrelenting. The industry is currently caught in the midst of a tug of war, with the persistent boom in food commercialization on one side, and a team of beleaguered growers and farm operators defiantly tugging in the opposite direction on the other side. Unfortunately in this game of tug of war the farmers can never win, the best they can hope for is to keep their footing long enough to prevent the collapse of supply. The cracks are beginning to show – right now in the United Kingdom, figures from DEFRA (Department of Environment, Food, and Rural Affairs) show that in the past 12 months, revenue derived from farming has dropped 4.4% – these figures show an alarming trend, because last year the UK experienced its best weather for decades, and reported higher than average yields. Right now it appears it’s all a game of numbers, with the drop in commodity prices seemingly to blame for the shift in farmer’s fortunes. Unfortunately the buck doesn’t stop there, because from an agribusiness point of view the fall in commodity prices stem from an oversupply of produce from cheaper markets. Hence, the tug of war continues – demand increases, and so does supply, and the more the two go up the less profitable commodities become if the current trend continues. So while it’s obvious new business models for the industry need to be generated, there are ways that farmers can see an instant change in profitability in the short term. It’s somewhat a slap in the face to suggest to growers that they can better manage their farms; in fact most farms operate to their upmost financial and technological capacity. There are however new methodologies currently in practice that can trim operating costs even further, and don’t require anything more than a willingness to adopt new technologies. It’s easy to believe that software requires extra input – one of the biggest reasons to shy away from software farm management is the notion that it requires more work on top of existing duties. Good farm management software is automatic, requires little to no manual input, and automatically links to existing farm machinery. So what does farm management software do? In short it takes every element of your farm, such as machine usage, supply costs, field expenditure etc, and compares the data to the overall profitability of real-time commodity prices. This way you can fine tune your production costs to the nth degree and squeeze dollars out of areas of your farm that previously were not being recorded or handled accurately. For instance, by accurately tracking vehicle movements seasonally you can save on future fuel supply costs by isolating the amount of acres worked and automatically comparing that to your vehicle’s miles/gallon gas mileage. A good software package should then be able to accurately predict the amount of fuel you’ll need for the next season. 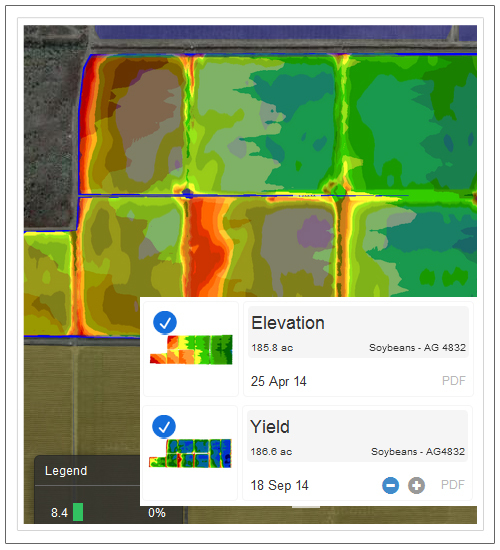 The same example works for things like seed application or spraying – by tracking exactly how much you use, the software can automatically predict how much you’ll NEED to reach your seasonal yield target. It’s these small tweaks that help tip the favor in the ongoing tug of war. Some software packages however are expensive, while other like AgDNA are free and don’t require any payment at all. Of course AgDNA isn’t just a standard farm management package, it’s actually a tool that also links to your mobile device through a mobile application; something that ties in perfectly with the next farm management type. The term plug-and-play may seem a little outdated these days, but the sentiment remains – automated devices that fit into existing architecture and work straight away without any external requirements. These days the best plug and play technology is our pre-existing mobile devices like Smart Phones and Tablets. Loaded with the right apps, they can use GPS tracking to accurately record your location in the field, and send that back to an online server or your existing farm management software. In other words, by fixing your phone or tablet onto your machinery, you can automatically record your vehicle mileage and start plotting movements accurately on a map. 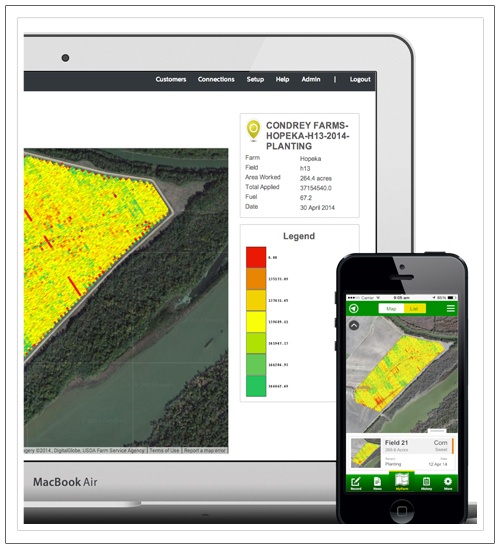 With automatically updated maps, you can start visually comparing your movements each season against the season before, giving you a complete digital overview of your farm. A Precision Package is actually just a mixture of the first two examples; however it’s probably the most effective methodology in reducing the operational costs of your farm. In essence, what they do is tie all your existing farm data together and present it on a single platform. 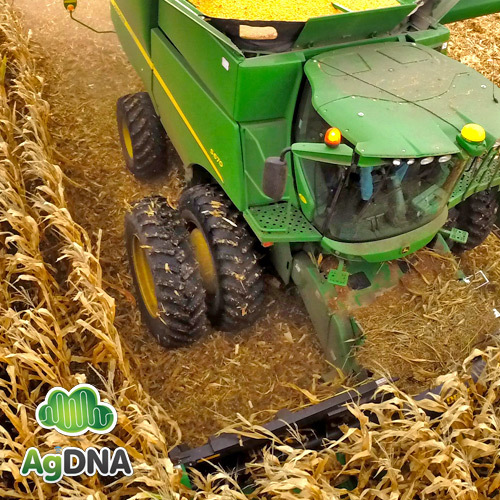 AgDNA for example, is a mobile software package that is partnered with equipment manufacturers like John Deere, that will send all the data being recorded directly by the machine into an online account. In other words every time you use your farm machinery, the fuel usage, the seed and spray application, the hours worked, the mileage, the percentages of the tank mix, EVERYTHING, is sent to an online database for the farmer to generate reports from. The AgDNA package will then overlay all this information onto a map, so you can visually perceive all of your farming activities. But AgDNA doesn’t just overlay machine data, it can also tie in data from other devices and services such as weather (from Weather Decision Technologies), moisture reports, soil survey data, and information from probe devices in-field. A good Precision Package, like AgDNA, can then take all of that raw data and start making projections for upcoming seasons, taking into account real-time information like commodity prices and weather conditions. Essentially, the more data that goes in, the more detailed the information that comes out the other end. In the end, efficiency is the key to better farm management. AgDNA is free to download for iPhone, iPad and Android Devices. You can also view your account online at the AgDNA website. Farming conditions are slowly changing, and not just in a financial sense – right now the south west of the United States is facing an ecological change in farming conditions. Australia and South America too are about to feel the effects of El Nino, with drought expected to start taking its toll on the agricultural centers of northern Australia. So while ecology doesn’t aid the demand for food directly, it does affect the supply. New methodologies in combating finances are a must; you see, the desire for better farm management techniques is not derived from a grower’s ability to be competitive, but is derived from a genuine concern that both their business and livelihoods are at stake in the current economic downturn. In other words better agribusiness models are required to not only stop the agricultural sector from sinking, but to stop the lives of the families invested within it from sinking too. To summarize – while the current situation in agriculture may look bleak, Software Management, Device Management, and Precision packages provide farmers with an effective means to adding weight into the tug of war, and fixes such as AgDNA need to be explored in greater depth as permanent solutions to the problem of handling farm efficiency. Farming is growing smarter, but with so much disparate on-farm data being amassed from precision ag equipment, it’s often tough to capture what matters and weed out what doesn’t. Paul Turner, the CEO of cloud-based mobile farm management platform AgDNA believes that, “Our algorithms help farmers feed the world”. “Commercial farming is moving from human generated to machine generated data with tractors, irrigation equipment and remote sensors streaming data to the internet 24/7. Now that we have all this data, the question is, what do we do with it?” said Turner. Hence, AgDNA was launched in 2013 with the goal of putting vital information into the hands of growers, contractors, agronomists, and equipment dealers worldwide with the help of powerful data analytics. 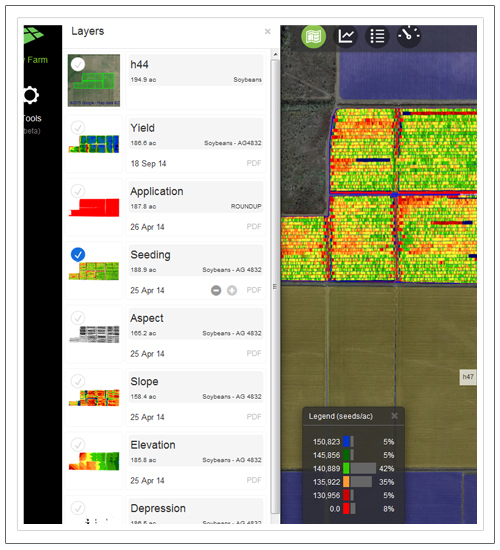 By automating the delivery of precision farming data and agronomic insights to smartphones and tablets, the platform is positioning itself as a one-stop data management tool for workers across the crop production spectrum. Based in Brisbane, AgDNA has users in 157 countries and over 2.8 million acres managed to date. The platform processes machine-generated data—such as seeding records, fertility applications, weather patterns, soil quality, and health yield —and provides subscribers with real-time, geo-spatially accurate information about the productivity of every acre on every field. No data entry required. Growers can then benchmark progress, view “seed prescriptions,” assess equipment performance, and determine what crops will best thrive under current conditions. 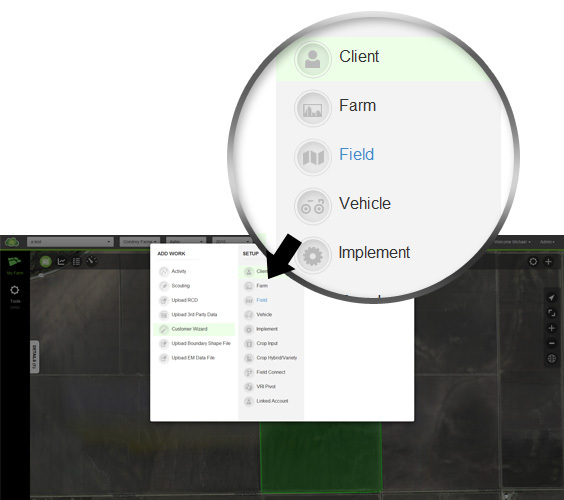 In addition to its publicly available app, AgDNA is one of the few companies licensed to access production data from the MyJohnDeere.com data management platform. The company has developed private label precision farming apps for some of the world’s largest farm equipment dealers, including many under the John Deere umbrella. Case New Holland, AGCO, Valley Irrigation and Reinke Manufacturing are among the other major OEMs in partnership with the AgDNA platform. “I’m unaware of any other system that does what AgDNA does—automating data collected from farm machinery, spatially processing the data online and drawing meaningful insights from that information – delivered directly to your smartphone or tablet,” Turner said. Over the next two years, Paul plans to leverage the scalability of the cloud-based platform and broaden AgDNA’s network reach to include all major international markets. Ultimately, he hopes the platform will better connect the farming community and its ever-expanding fleet of internet enabled smart machinery. “Agriculture has undergone four revolutions”, said Turner. “The first was mechanization, followed by plant nutrition, and then genetics”. Since late 2014, AgDNA has been working diligently with farmers, crop producers and farm equipment dealers to develop and fine tune new mobile based farming methodologies for the agricultural industry. The aim was to create a single platform for all farm managers worldwide to accurately auto-record all of their farming activities, and to overlay this information with data pulled in from every piece of equipment at their disposal on their farm. The result is the AgDNA Precision platform – a digital representation of a user’s farm, collating spatial information from farm machinery, weather satellites, soil probes and field boundaries, and measuring them against the underlying expenditure of the grower’s season. With fine tuning and real world testing, AgDNA believes that there is a single one-app solution that can tie in unrelated and un-supported data into a singular platform. As of Christmas 2014, several farm machinery dealers have partnered with AgDNA and have provided them with real world testing opportunities. The feedback from farmers in the field has been critical in developing new methodology; utilizing the resources of these suppliers, AgDNA has become the first to visually overlay multiple equipment datasets into a single environment for immediate comparison. The real world testing has also brought to light the most crucial concern facing growers in real world farming situations: the desire for better farm management techniques is not derived from a grower’s ability to be competitive, but is derived from a genuine concern that both their business and livelihoods are at stake in the current economic downturn. In other words better agribusiness models are required to not only stop the agricultural sector from sinking, but to stop the lives of the families invested within it from sinking too. This genuine real world feedback was important in creating additional reporting functions – AgDNA, more than any other management application, has broken down farm activities to an even greater degree. Farmers have the ability to not only auto-record their equipment activities, but they can break down that data to the nth degree with multiple crop inputs, definitive units of measure for seed application, and even tank mix percentages for sprayer applications. AgDNA will be regularly updating the real world feedback and results of its testing phase here in the AgDNA blog. All of this is culminating towards the launch of AgDNA 3.0 – which will cement itself as the world’s premiere mobile and online farm management application. AgDNA hopes that by creating a free service for all growers, the real world experiences of farmers and suppliers, such as Tennessee Tractor, will create better agribusiness methodology and help combat the lean forecasts for upcoming seasons. Subscribe to the AgDNA blog now. AgDNA is pleased to introduce a brand new way of creating and editing your field boundaries using your online account; now you can simply draw the boundaries of your field using our all new Point and Click interface. The all new system gives you even greater accuracy when creating your boundaries, something that in the long run makes AgDNA the most accurate way of calculating and managing every aspect of your farming operation to the minutest details. The Add Button is your way of creating brand new data and editing existing data for your farm. From our updated control panel, select the ‘Field’ option in the center ‘Setup’ column. Some of you however may still see a previous version of the Control Panel; this just means your account is in the process of updating to our new updated design, so don’t fret. If so, simply click on the ‘Field’ option under the ‘Add Work’ heading. Whether you’re creating a new field or editing an old one, the “Draw Field” button located in the ‘Location’ section of the page will instantly take you to a new window that allows you to draw or edit your boundaries. 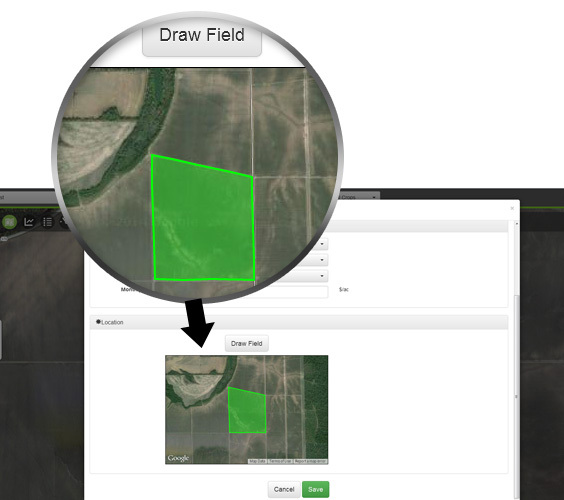 With every click of your mouse, the point and click tool will add a new waypoint around your field. You can use the scaling options on the right hand side to zoom in closer and trace around your boundary with precise detail. 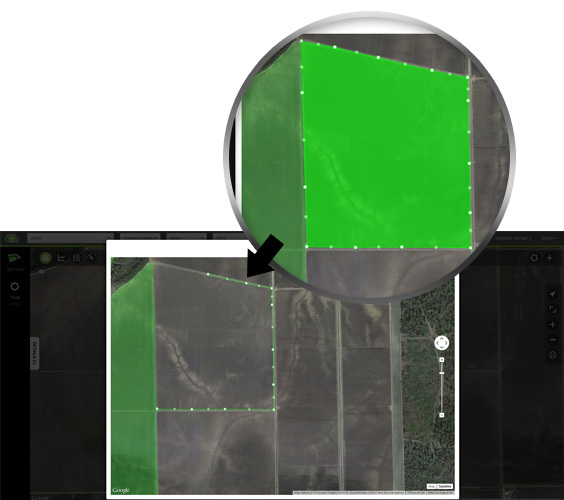 To complete your boundary, simply connect the border around your field so the last waypoint intersects with your start point, and the software will automatically generate the finished boundary and calculate the total area. When you’re ready, click ‘Save’. 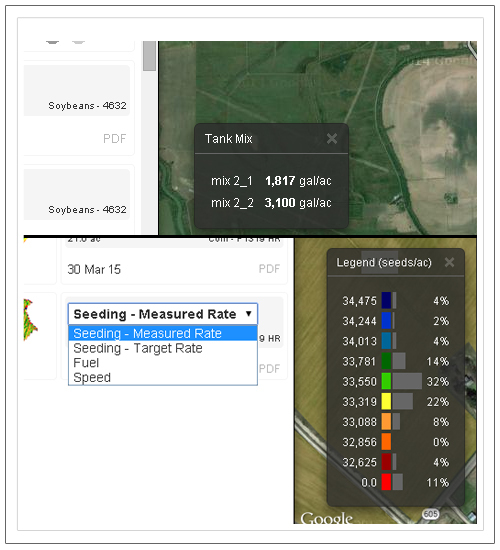 Once you’ve drawn or edited your field, you can now input the rest of your data and click ‘Save’. 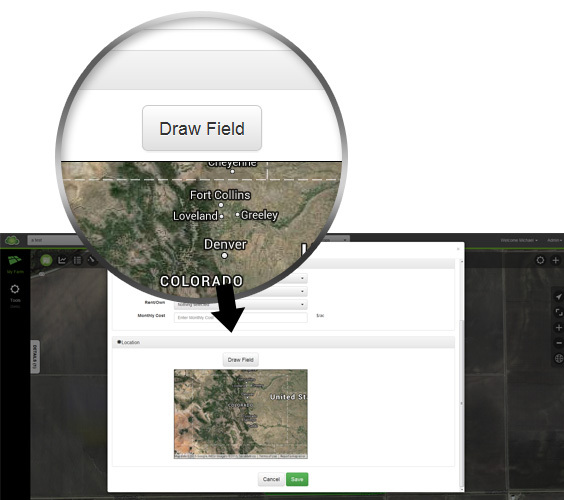 Of course the draw tool doesn’t just add new fields – you can come back and redraw your field boundaries at any time. 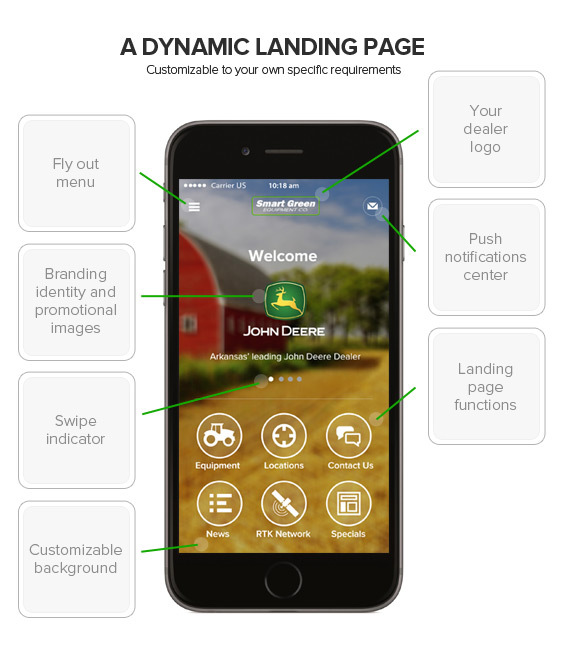 Welcome to the all new PROMOTE App – a simple, yet elegant mobile application designed exclusively to endorse John Deere dealerships, and to encourage greater engagement between you and your customers. Simply put, the PROMOTE App takes every aspect of your dealership and transforms it into a practical resource tool for new and existing customers. What information goes in there? 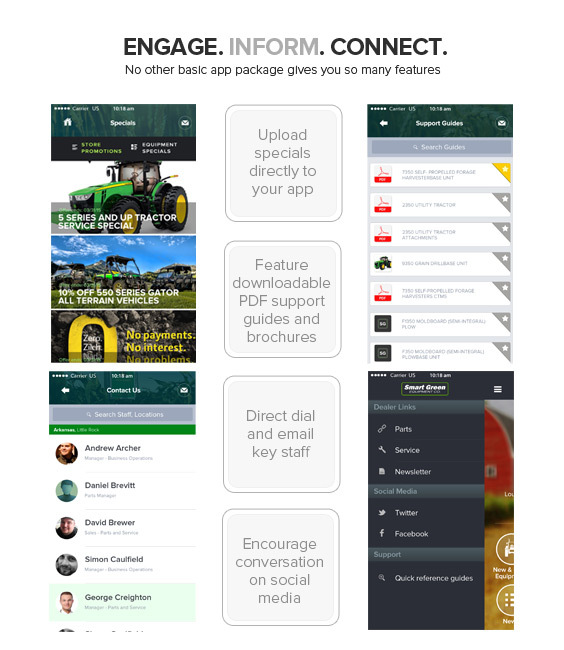 Designed to be both contemporary and convenient, the PROMOTE App takes all the elements that farmers expect from modern customer service, and sets it among the clean lines of an easy to use mobile environment. Your initial landing page will be fully customizable, putting your brand front and center. The stylish layout works across Apple and Android platforms, and is native to the user’s device; this means the app can work offline without a data connection. Create news, promote events, drive engagement – utilizing your own secure online control panel, you can manage precisely what information your customers can see. 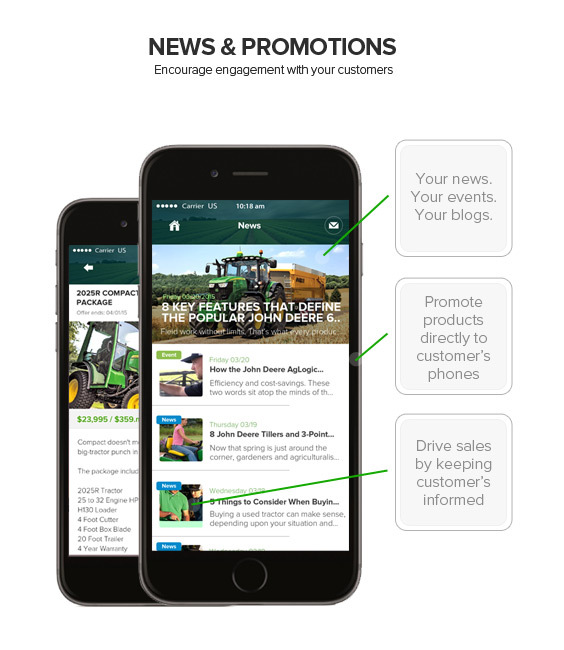 In a sense, your PROMOTE App will soon become part of their daily routine, and your business will have the opportunity to become the focal point for their local ag news and information. 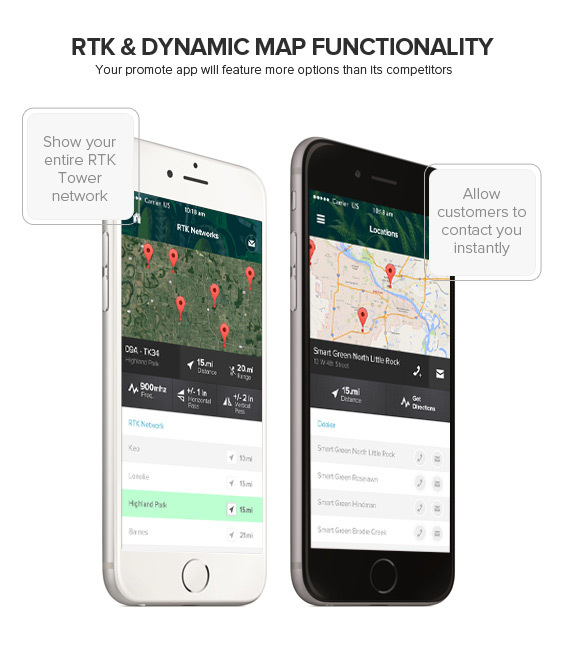 Your PROMOTE app is fully equipped with GPS and geo-referenced dealer information – this means your customers can dynamically view your RTK Tower Network, or receive turn by turn directions directly to their nearest store location. Your PROMOTE App is fully loaded with features to put your mobile marketing strategy in the driver’s seat. Your dealership can be constantly engaging and relevant and increase brand loyalty. 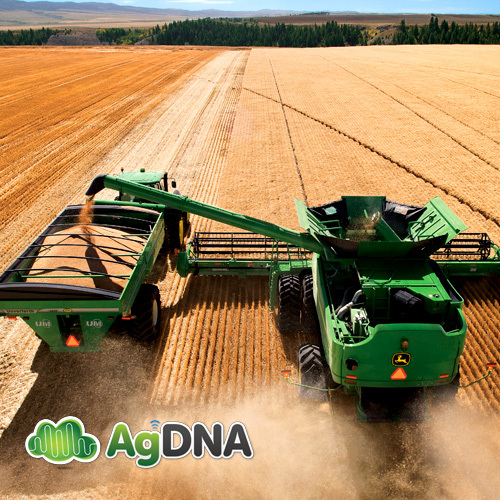 As an authorized John Deere API data integrator, AgDNA can take your mobile marketing to the next level with fully integrated data services. Drive more sales and engage with a wider audience today. The price of Corn dropped a remarkable 15.9% in August, the biggest fall of any commodity this year, and a terribly bitter pill to swallow for farmers as the price per bushel scraped barely over US$3.60. There’s light at the end of the tunnel however – last week the USDA released their quarterly estimate of Corn stocks, and although there is a surplus, figures show there is also a greater demand for corn with exports higher than the 2013 figures. So while 2014 may have been a dreary year for corn, there are certainly positive lessons that we can take away from the experience, particularly regarding how better management on a farming level is the key to successfully navigating the future of all commodities. As much as others may wish it to be true, most farmers can’t simply pick up stumps and change their crop – climate, soil and geographical history play a large part in determining the strength of crops in specific geographical locations. However while it may be impossible for growers to change their wares on a whim, it’s not impossible, or even illogical, to assume that a lot of farmers could have better access to real time commodity prices and relevant information specifically regarding their crop. But how and why could that possibly make things better? – Well, for a start, commodity pricing is incredibly predictive; most data sources can extrapolate the future of any given commodity for years to come, so a farmer could have a heads up of changes down the road a long time in advance of any price dips. Tying it all back to corn, it’s important to remember that a large portion of the world’s corn supply comes from nations that are slower in adopting precision agriculture techniques. With better access to commodity and supply information, it’s not out of the realm of possibility to believe that a surplus could have been avoided. DST’s such as the new AgDNA mobile commodity dashboard can feed this important information to growers on the ground in real-time, meaning on the most basic level famers can start planning their crops far ahead of schedule. The technology works by automatically assessing a farmer’s crop type for a specific field, and sending the grower useful messages on a regular basis about changes to this specific commodity. 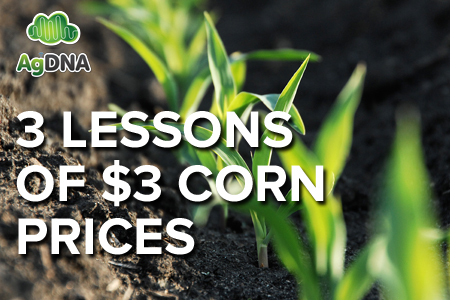 So $3 a bushel is a little worrying, but the impact of three dollar corn can be lessened with increased efficiency and maximum yields. I feel like I’m preaching to the converted when I shout from the rooftops “Try and maximize yields”, but the methodology behind doing just that is actually varied and a number of considerations that aren’t often adhered to need to be taken into account. At the end of the day, riding out the low prices is an alternative to changing crop. However there is still one more very important lesson to learn from the drop in commodities. Unfortunately in the Ag world, it seems that the concept of strategy is something that only larger growers or corporations seem to invest in. Of course ‘strategy’ conjures up images of Napoleon-esque generals standing around thick mahogany tables in pompous war rooms barking orders to subservients about warm cups of tea – the problem is with this kind of thinking is that it completely neglects the fact that DST strategy tools are not only available to farm operations of ALL sizes, but that they are fast becoming a necessity in the precision ag market. You see not only is it important to record all your farm data, the important thing is to actually use that data to predict what’s going to happen on your farm in one, two, three years time. In many ways that’s what is missing from smaller farming operations; most people seem to enjoy collecting data, but the application of that data and what it actually represents often falls by the wayside. A good DST will track the rise and fall of every aspect of your farm, something that gives even the smaller grower the ability to strategize next year’s harvest based on the conditions that either made the current harvest a success or failure. [Australia] The new Rabobank Rural Confidence report has found that Victorian farmers are ‘feeling flat’ and are beginning to take a negative view of the future of the agricultural economy. According to the report, a third of farmers believe that the world agricultural economy will improve, while another 20% expect conditions to worsen. It’s an interesting dichotomy – two completely different outlooks on the future of agriculture, each coming from the same general geographical location. In truth, the radical shift in climate in the 2013-2014 season produced varying results for different farm/crop types; graziers on the whole being pleased that cooler temperatures produced favourable results for grass, while grain growers suffered the consequences. One can’t overlook how much the climate shift has affected the psychology of farmers – let’s face it, as the climate changes and shows little sign of reversing, the future of investment in specific climate dependent crop types starts to look a little bit bleaker. 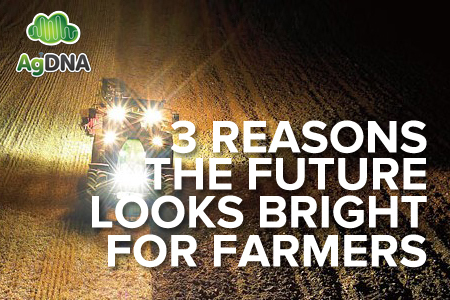 However, AgDNA has put together a short list of reasons to re-evaluate those glum predictions, and how to start making the most out of future farm yields. In other words, spatial data that used to be scattered among numerous devices can now be interconnected together to form a better view of your farm. 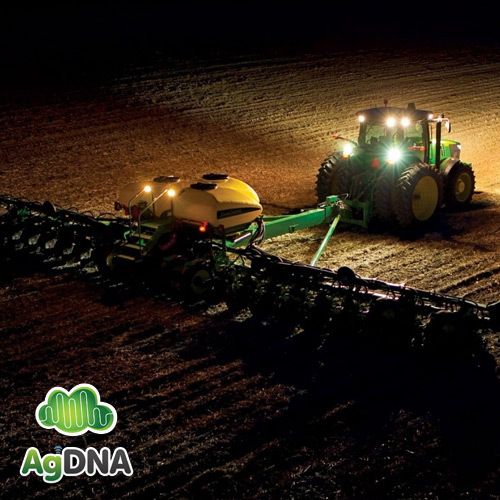 AgDNA is an example of a single mobile application that can take all of your unconnected data from your soil devices, weather feeds, and tractor machinery and bring it together in a single place. Because of this, changes to planting and harvesting can be done on the fly, meaning management of future yields becomes easier. On the whole, the cost of technology is dropping – in fact, in 2011 Wired magazine effectively began to plot the deflation of basic consumer goods, and what that meant for everyday consumers. They found that the life cycle of most technological advances involves an ‘adoption’ phase, something that increases the value of the technology itself but decreases the cost of the hardware. In the Ag world, the dropping cost of technology is due to the switch from hardware to software – for instance, no longer are stand alone devices needed to measure weather data, instead developers use existing technology (such as iPhones, iPads and tablets) to collect data from devices that already exist. For this reason, farmers no longer have to BUY the hardware, all they need to do is purchase access to the extremely cheap data being provided by software developers. In summary, the bleak outlook appears to be psychological – however there are steps that can be taken to ease the negative effects of climate change. Farm management software now exists that uses your mobile device as a hub for all your disconnected farm data – at the very least this serves as a great starting point for farmers that are looking into different farm management techniques.